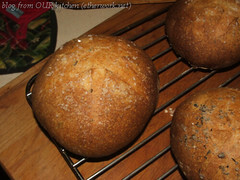 Based on a recipe in "The Fundamental Techniques of Classic Bread Baking" of The French Culinary Institute, this bread is a variation of a recipe for Panmarino in Carol Field's "Italian Baker" with a crust that "sparkle[s] with diamonds". 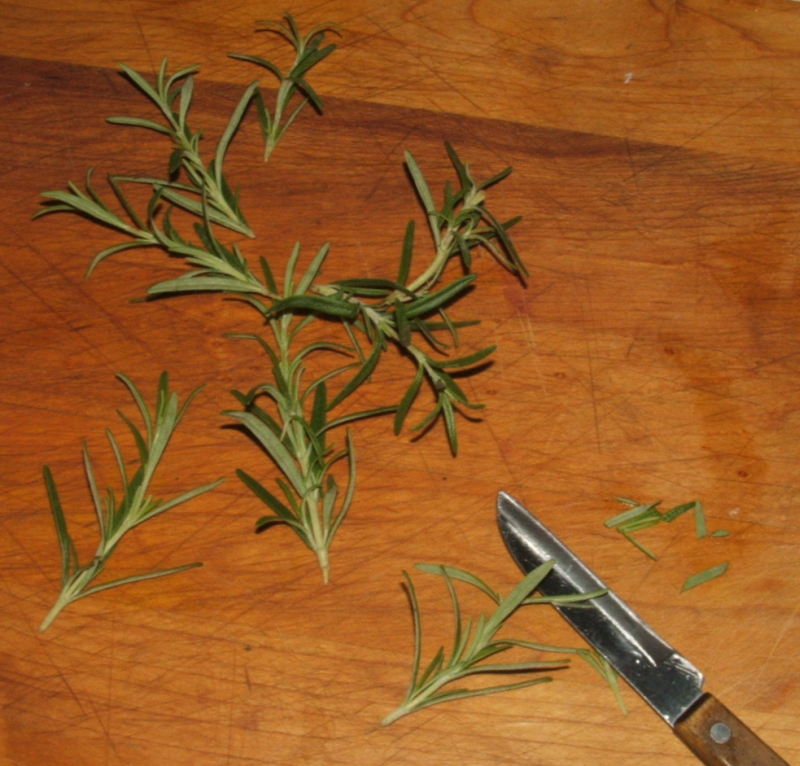 The recipe called for 6 gm fresh rosemary. We have a tiny rosemary plant growing in a pot outside. 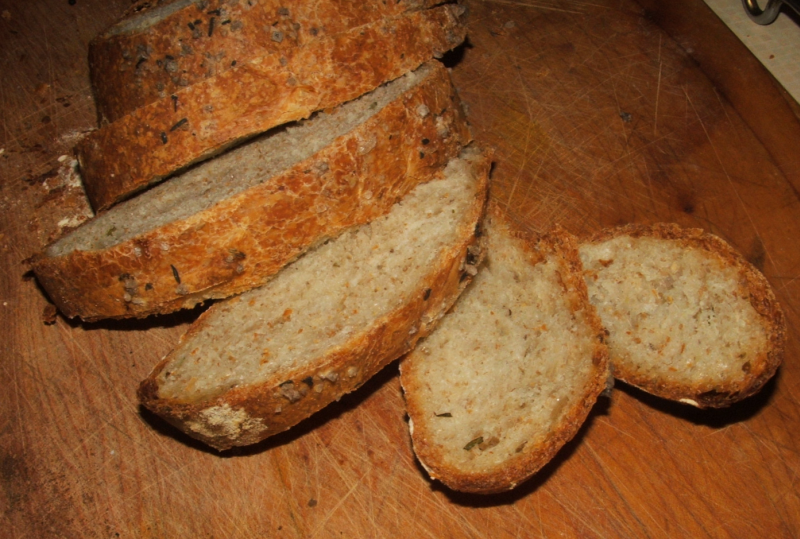 This (5 gm) is all that I dared to take from it for the bread. Next time, I'll try to get more. The bread was lovely but had only a slight hint of rosemary. 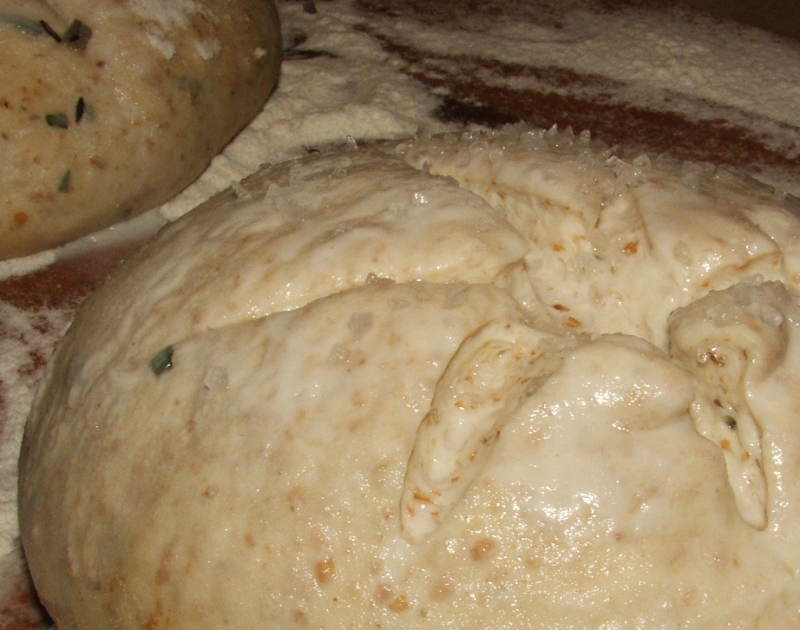 The bread starts with a biga (85% hydration) and is ready to use when it is actively bubbling. 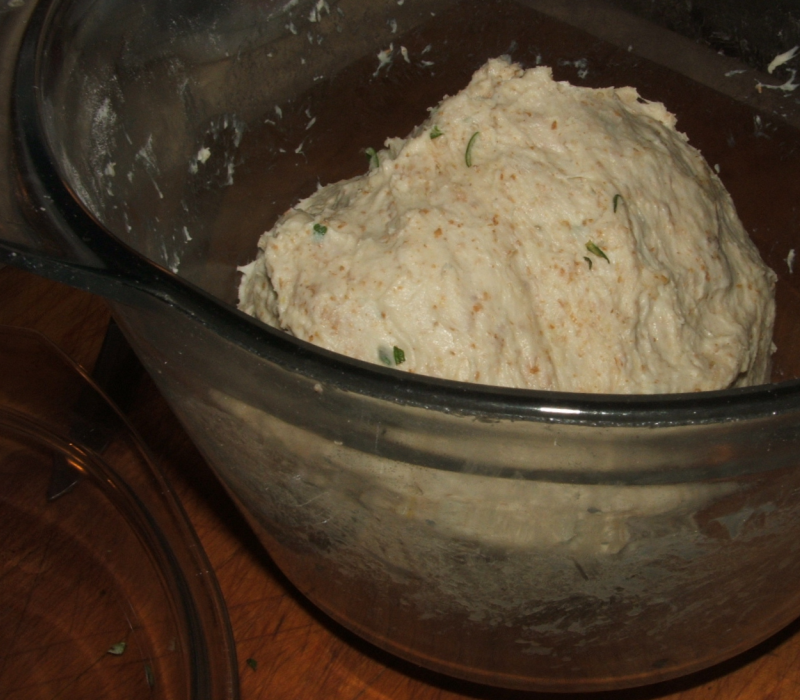 Before adding the biga and rosemary, a rough dough (59% hydration) is mixed together. 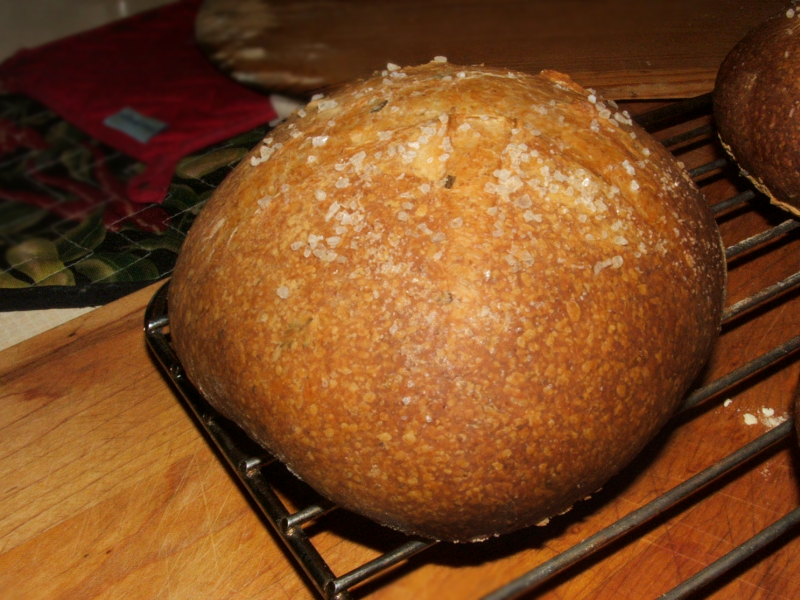 Even though the recipe called for plain bread flour, I couldn't stop myself from adding whole wheat flour and ground flax seed. 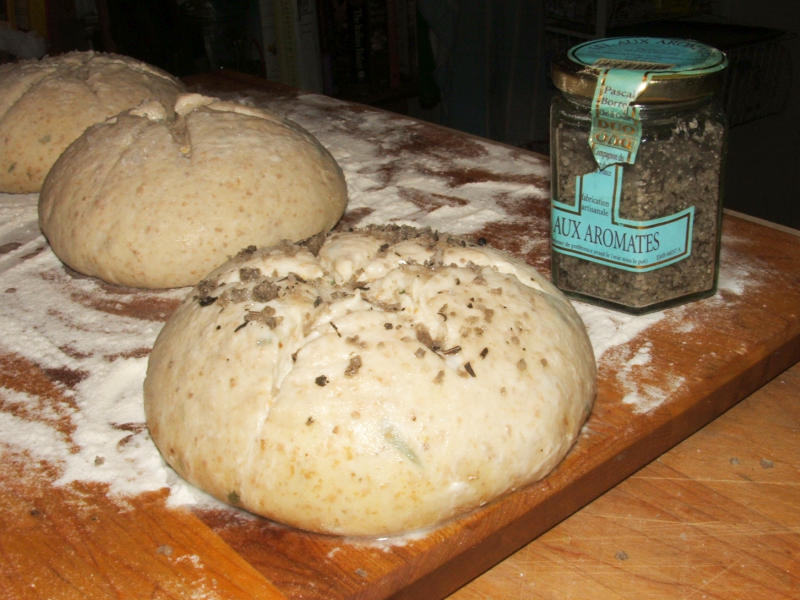 The rosemary is added to the dough at the same time as the biga and everything is kneaded together in the bowl. 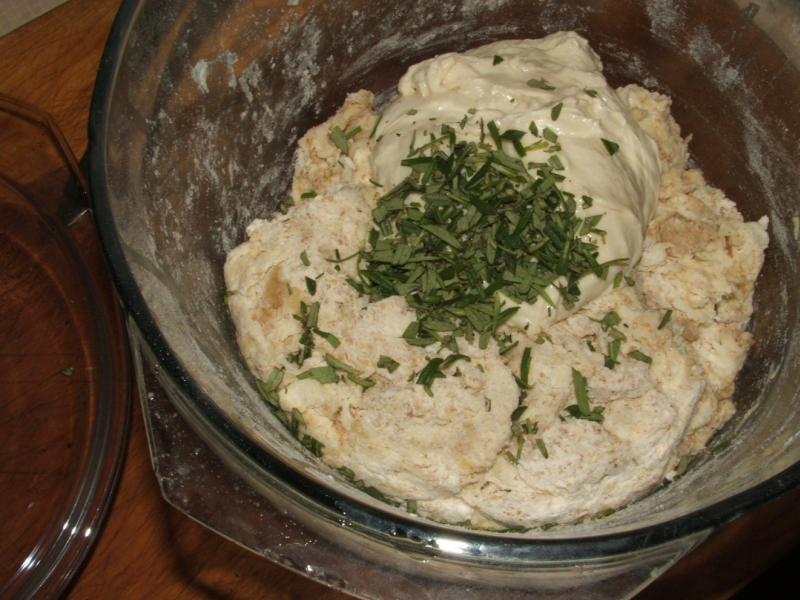 Once the dough is smooth and elastic, it's ready to be covered and left to rise to double. 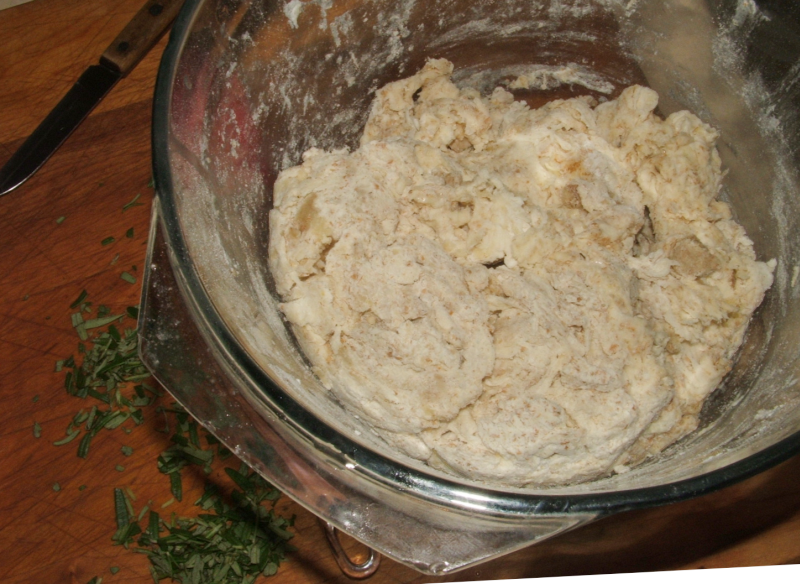 I mixed the dough late at night and THEN noticed the instruction to "Let the dough ferment for 45 minutes" before shaping. Oops. 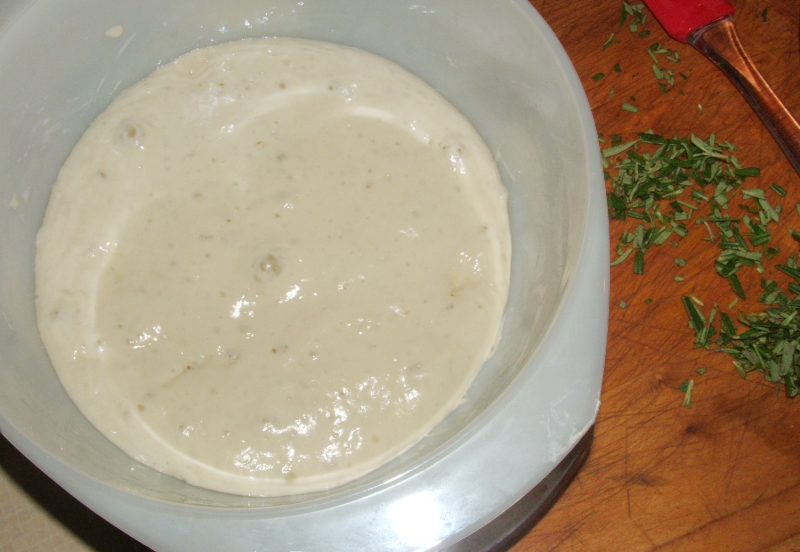 So I put the dough in the fridge to arrest it. WHAT a mistake. This is how it looked early the next morning. That's right. It hadn't budged. 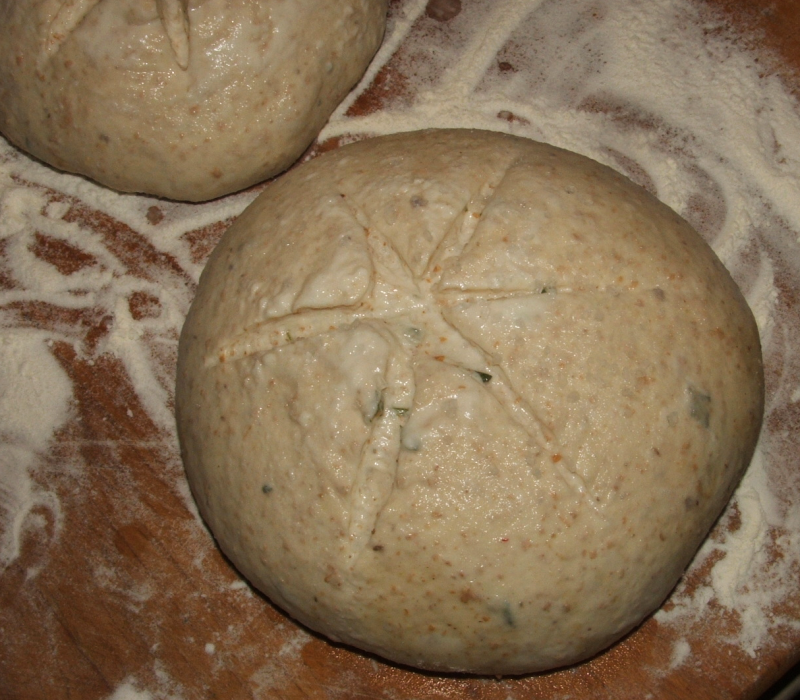 It took a while for the dough to recover but finally in the late afternoon, it was ready to shape. It didn't take long until it was ready to be scored. 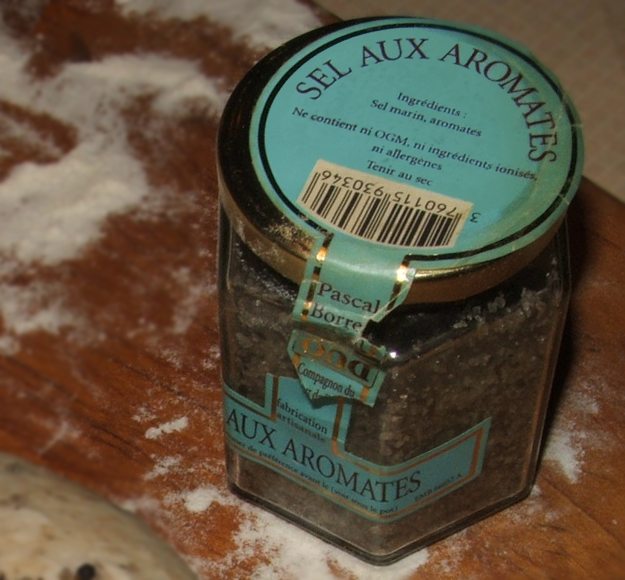 When looking for coarsely ground salt, I came across this sel aux aromates given to us for Christmas one year (no idea what kind of aromatics are in it - it smells vaguely herbal but mostly simply like sea salt). 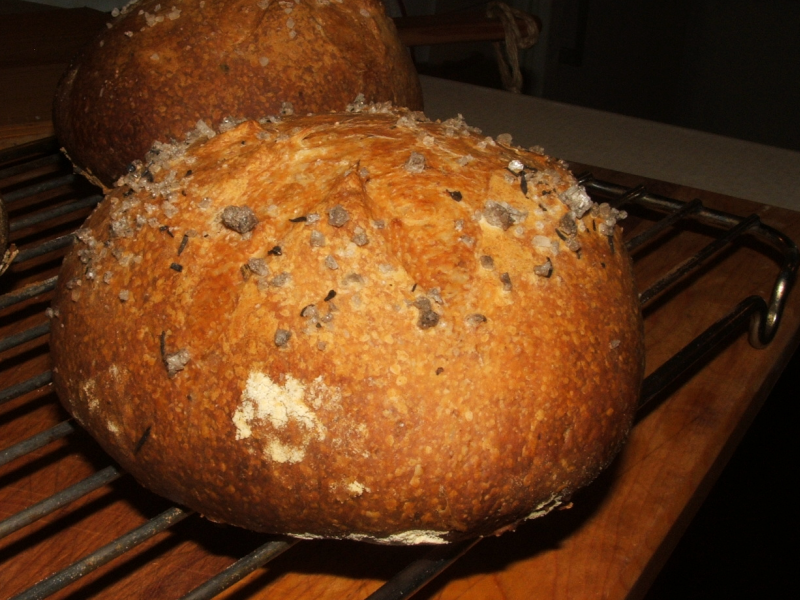 I thought it would be fun to have one loaf shining with "black diamonds". 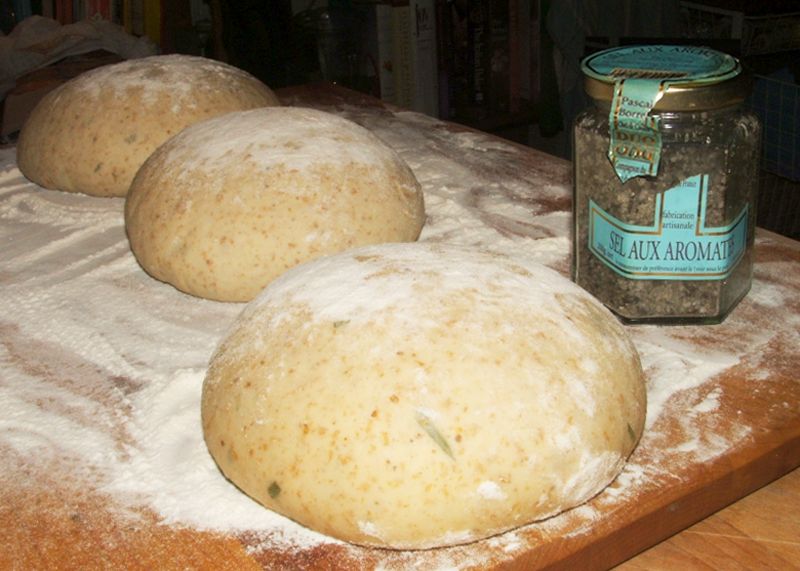 With the salt attached, into the hot oven they went. 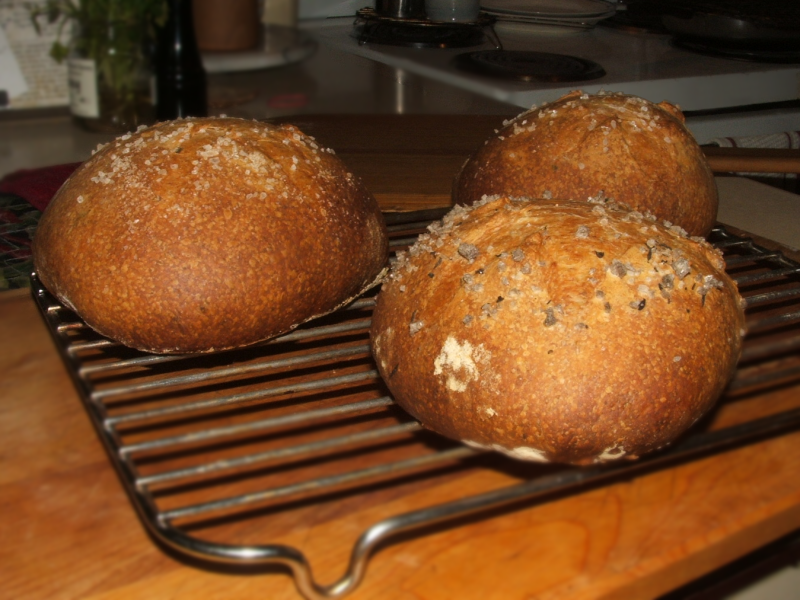 Too bad that my scoring technique isn't the greatest. 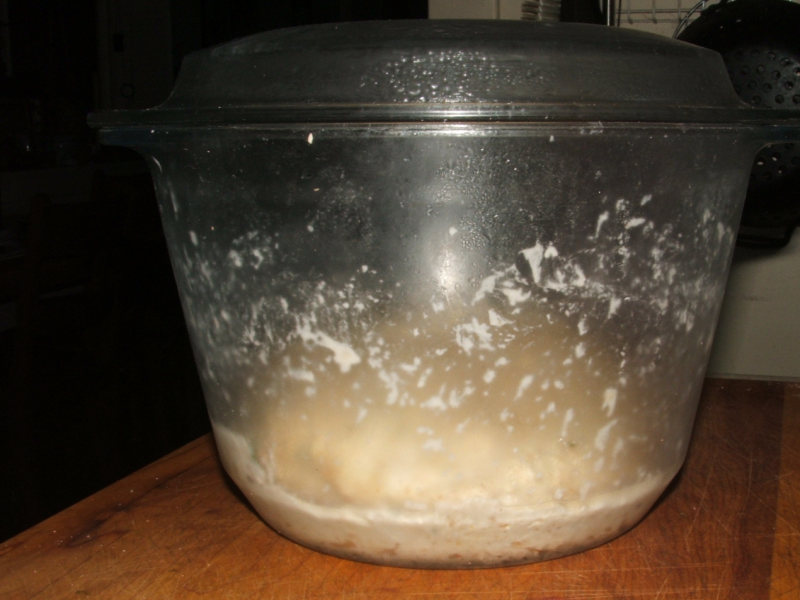 The stars disappeared in the oven. But at least there was oven spring!